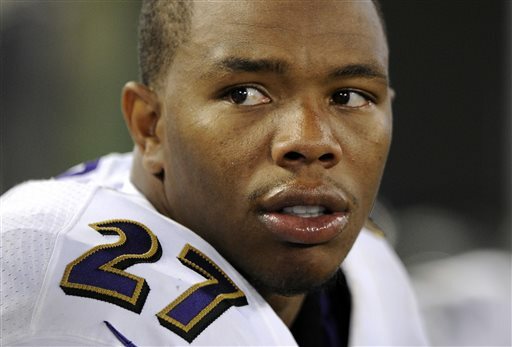 Major brand sponsors are watching closely to make sure the National Football League doesn’t fumble the investigation into how its executives handled evidence in the Ray Rice domestic violence case. For big companies like Anheuser-Busch, General Motors and Procter & Gamble, an NFL sponsorship is a coveted prize. The deals can cost up to $10 million per brand, but they deliver eyeballs. An average of 17.4 million viewers watched professional football games during the 2013 season, according to Nielsen. Now that the NFL is investigating how its executives handled a video showing Baltimore running back Ray Rice hitting his then-fiancee, sponsors are forced to balance the exposure NFL games offer with the risk of alienating customers. On Wednesday, the NFL said it hired former FBI Director Robert S. Mueller to lead the investigation. League Commissioner Roger Goodell previously said no one at the NFL had seen the video before it surfaced on Monday, but the AP reported Wednesday that a law enforcement official sent the tape to the organization in April. With the investigation just beginning, experts say there is little else sponsors can do but wait and see. When a scandal hits an individual athlete, brands usually move swiftly to cut ties. Nike severed its relationship with Rice after the video surfaced. Video game maker Electronic Arts said it would scrub Rice’s image from its latest Madden 15 release. But no sponsor company has said it will end its relationship with the NFL — yet. TD Ameritrade said the company has received little reaction from clients about its NFL sponsorship, which it just announced last week. General Motors, a sponsor since 2001, has no plans to change its advertising on NFL games because of the Rice case, said spokeswoman Ryndee Carney. Carney said she was not aware of the company receiving complaints about its football advertising. GM said it supports the NFL’s decision to conduct an investigation. “We will continue to monitor future developments regarding this issue,” Carney said. FedEx also said it is monitoring the situation. “We are watching developments in this matter closely and we are confident that the League will take the appropriate steps,” said Patrick Fitzgerald, senior vice president of marketing and communications at FedEx. Other large NFL sponsors, such as Anheuser-Busch and Procter & Gamble, did not respond to requests to comment or declined to comment. For now, analysts don’t expect a big change in viewership during NFL games. “Games will go on and fans will — for the most part — want to watch,” Ries said.